Jo Totes camera bags are beautiful. Their slogan is “Camera bags for ladies.” I’m so in love with my new Betsy bag, it is so ladylike! 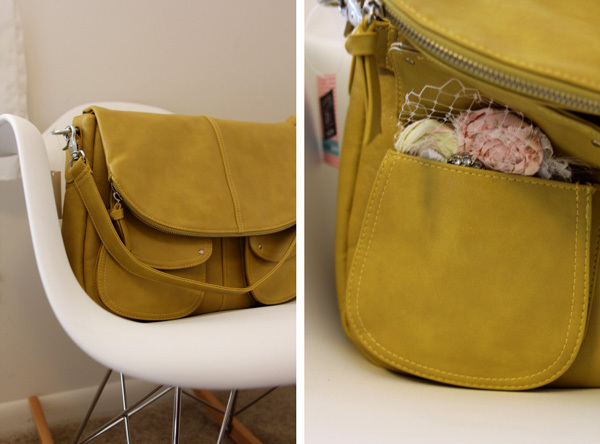 Jo Totes recently released this vintage style camera bag in 3 colors and sent me one to review. And I think Betsy is the perfect name for it. I’m sorta crushing on mustard (the color not the flavor) although I had really hard time deciding between mustard and chocolate. I seriously emailed Jo Totes back three times changing my mind. Pretty sure they think I’m crazy. I talked to my husband about it and he said “Mustard is more YOU.” He’s so right. I’m glad I got mustard. I was worried about the color because the product pictures show it VERY mustard, but in real life, it’s the perfect shade, the pretty kind of mustard yellow. The lining is grey, it’s nice and clean against the mustard. There is nothing not to love about this bag. I feel really good about putting my camera in it because it is so snug and padded. It’s so nice to have a bigger bag for my camera and growing lens collection. I’ve just been using standard purses and it’s so much better to have a bag made for the job! Take a peek inside, everything fits in such a safe and organized way. There is even room for other stuff, check out all the pockets. I snuck a little newborn photo prop in the front pocket. It has two strap sizes, shoulder and cross-body. So lovely. So mustard. So perfect. A few of my favorite features are a zipper pocket on the flap and magnetic closures on the front pockets. You’ll probably be seeing this bag in a few outfit posts, because I can’t put it down! I even bought some tights to match it. Hah! Thanks Jo Totes! Check out this Betsy bag here and their other bags here! hedgehogs and a winner penelope pattern tour: craftiness is not optional tiny fabric party bunting Rachel Dress Extra Ruffle Hack! oooh! I’m drooling with envy over here! :) luck girl! Wooow!! That bag is soooo beautiful!! I love this bag!!! I bought it for my BFF for Christmas and when I arrived after holding it for a few minutes I had to generously tape it back into the box and I wrapped it too. I am in love with this bag…now I know what I want for Christmas!!! This is much prettier than my giant Nikon man looking camera bag! A lovely bag. Def not my colour, I love the turquoise ones. Much prettier and more useful than my very square bulky standard camera bag! when did they offer gray… i want it! actually i love the mustard but business partner just got a kelly moore hobo in mustard… we might look a little funny!